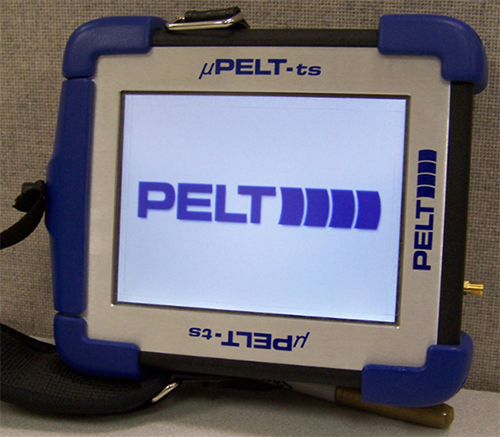 The PELT® model µPELT-ts3H is a multi-layer thickness gauge that can measure up to 3 layers simultaneously with excellent accuracy using High Energy measurement techniques. PELT gauges use state-of-the-art ultrasonic technology and product design, resulting in unparalleled precision and accuracy. The unique capabilities and outstanding performance of PELT gauges have made them the standard coating measurement tool in demanding paint shops around the world. 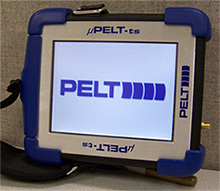 PELTManager™ software is a Windows® application that provides a powerful and easy to use interface to the µPELT-ts3H. Calibration information and measurement data can be easily transferred to/from the gauge. Use of the Autogage2 automation feature both saves time by automatically processing large batch files and improves measurement precision. Thickness data from the µPELT-ts gauges is stored in a format that is easily imported into many popular spreadsheet and database programs.